This time of year brings out all kinds of festivities all across the world. There are traditional festive decorations we see during the holidays, such as the Christmas tree and lights on the outside of houses. There are also funny festive traditions such as the ugly Christmas sweaters, onesie parties and different types of holiday light shows. A fun and exciting tradition for pet owners is decking out your pet to match the festive season. East Valley Animal Hospital is located in Gilbert Arizona, and we pride ourselves with respectful, caring interactions with our clients to ensure the best pet healthcare possible! This time of year, everyone gets the holiday festive spirit. But what does it mean to be festive? Festive means to be joyful, celebratory and cheerful. So how does one embrace the festive spirit? *Holiday Sweaters: We all love the holiday sweaters, whether it is for an ugly sweater party or just to be festive! Your pet can join the fun sweater festivities also. There are many options to provide your pet with the best festive sweater. *Holiday Accessories: Reindeer antlers, bearded santa hats, jingle bells for the collar, or little booties are just some options to deck out your pet for the holidays! If it’s cold, a great christmas scarf brings out the Christmas spirit and keeps them warm. *Pet Home Decor: If your beloved pet has their own house, inside or out, or maybe their favorite bed and spot, you can decorate it with a miniature Christmas tree, some holiday lights and even some fun holiday pillows. Embrace the pet decor this holiday season! *Home Decor: To bring your pet into the Christmas decorations throughout your home you can get personalized tree ornaments with your beloved pets face on it, create treat ornaments to give them throughout the days, or incorporate their favorite toys. Whatever way you celebrate this holiday season, don’t forget to include your pets! They can be decked out in their best festive outfits for a fancy holiday party, or add some fun antlers and an ugly sweater for the silly holiday parties. 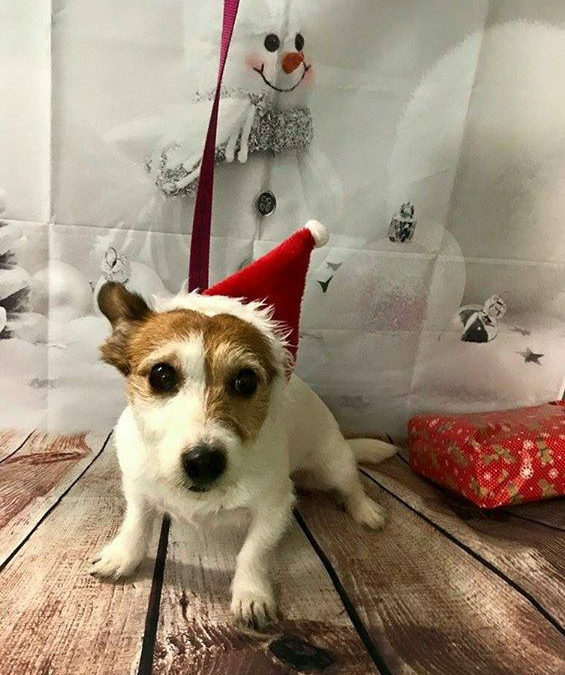 Festive pets are the best way to bring joy to you, your friends and family! Contact East Valley Animal Hospital today for all your pet care needs!